Sometimes my random little cooking experiments go well. But it wasn’t until last month that the lightbulb went off and I had the idea to try a mashup of these two recipes together! 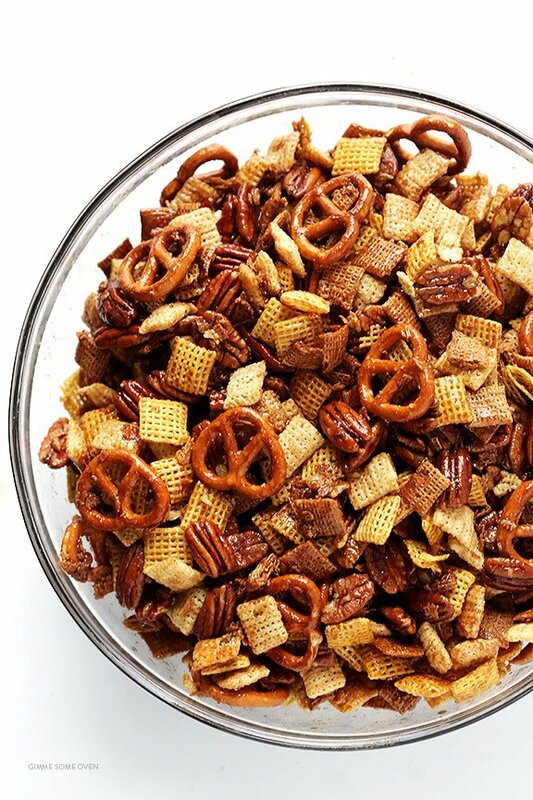 Because all of that salty and savory goodness of Chex Mix? 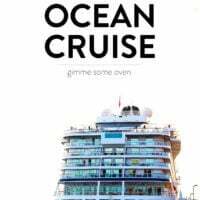 Topped with that irresistible sweet and cinnamon-y crunchy candied pecan topping, along with a few handfuls of actual pecans mixed in? My recipe for Candied Pecans. So here was the inspiration for this recipe — my all-time favorite recipe for Candied Pecans. 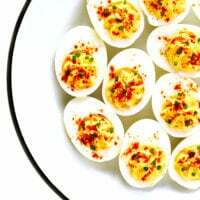 I’ve made these for years, and this recipe never fails. 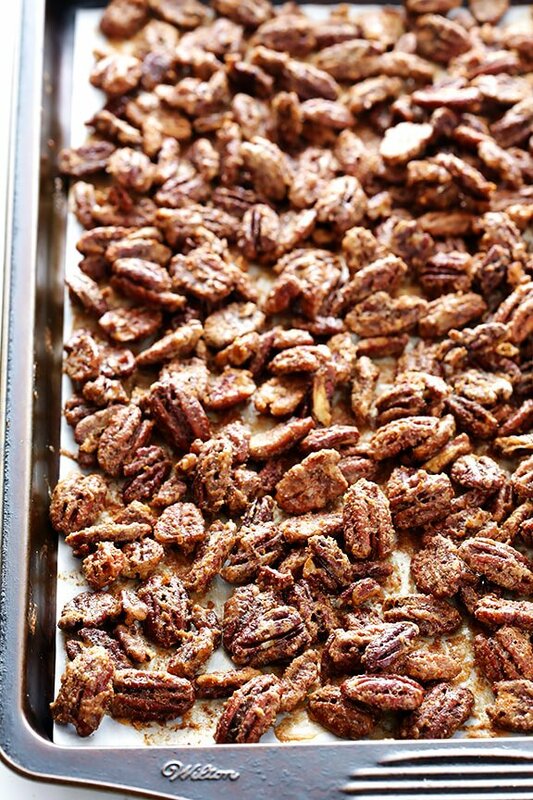 It simply calls for cinnamon, sugar, salt, cayenne, egg whites, and lots and lots of pecans. 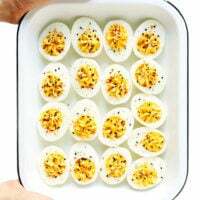 …those egg whites worked their magic and everything suddenly was coated in an extra fluffy, crispy layer of candied coating. And the result was one of my (new!) favorite salty and sweet snacks of all-time. I will just warn you now that this stuff is wonderfully, irresistibly delicious. 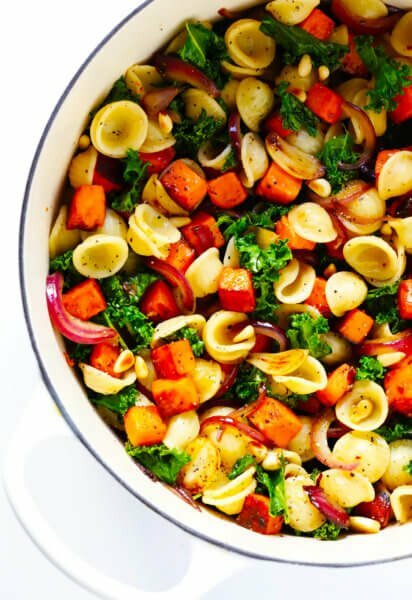 And if you decide to set a few bowls of it out for a party, it’s pretty much a guarantee that you won’t have any leftovers. 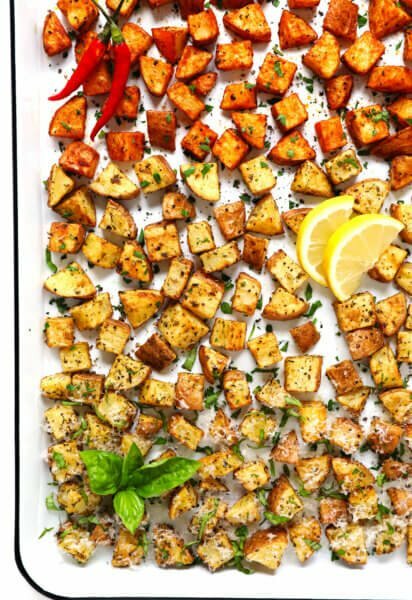 I literally just had the pan of this sitting out on my counter for an afternoon when a few friends stopped by for various reasons, and — even before I had the chance to move it into serving bowls!! 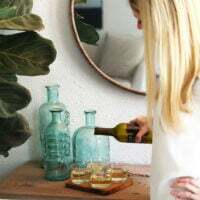 — they immediately spotted it on the counter and had to try a bite. And then another bite. And then by the end of the afternoon half of the pan was gone. 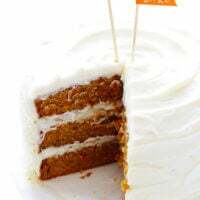 And also, be sure to check out Chex.com for more creative Chex Mix recipes, as well as the fun Holiday Party Guide (and video!!) 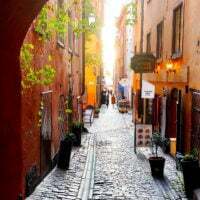 that some blogging friends and I worked on together. 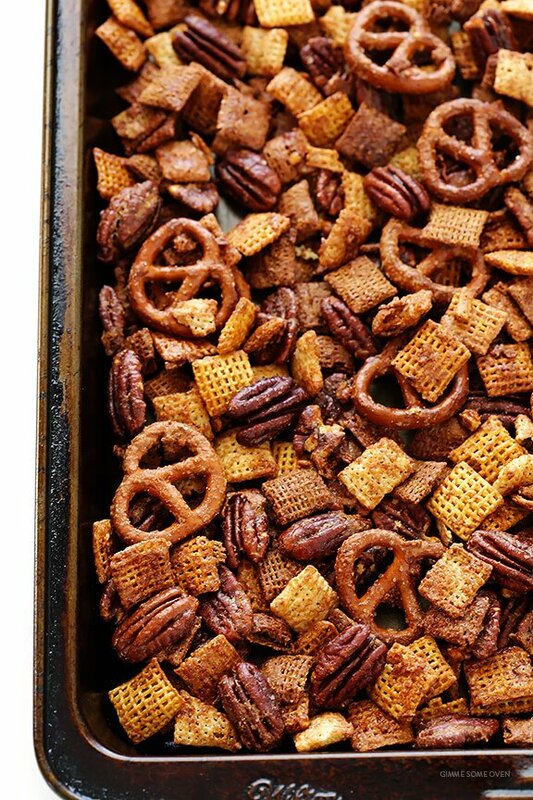 This Candied Pecan Chex Mix recipe actually is part of a fun “Mad For Plaid” party guide that we came up with that pairs with Alie & Georgia’s Liquid Flannel Cocktail (rimmed with crumbled Chex Mix – brilliant! ), and Pizzazzerie’s cute party decor and printables — pretty fun! 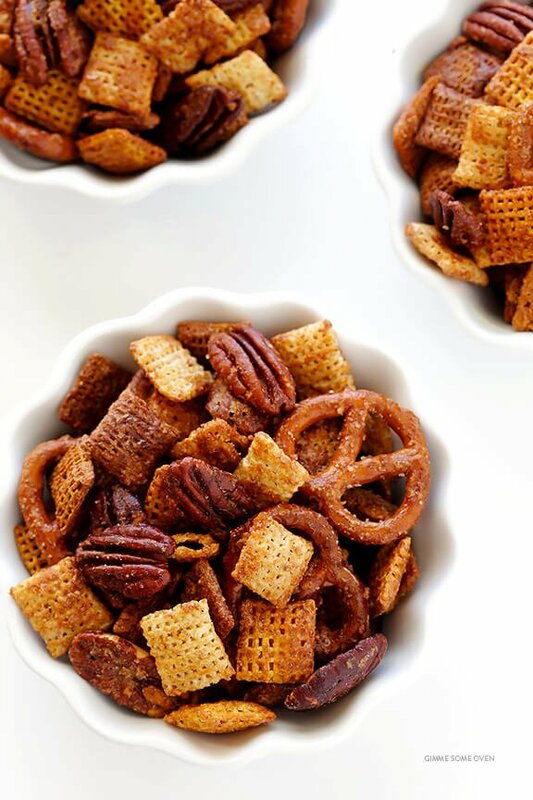 This Candied Pecan Chex Mix recipe is everything you love about traditional Chex Mix, tossed with pecans and a light candy coating. 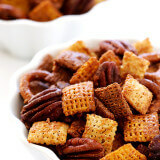 Visit Chex.com for the recipe directions to make this Candied Pecan Chex Mix. 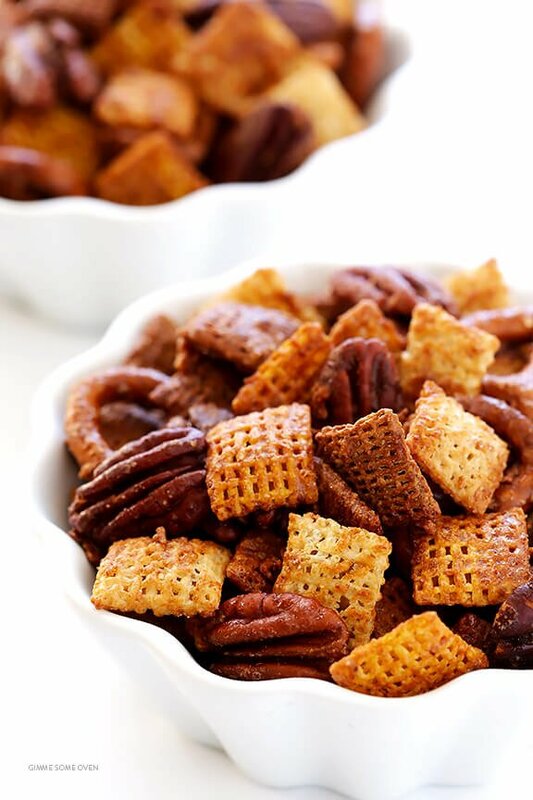 We ALWAYS make a big batch of Chex Mix to munch on during Christmas Eve…but we have neverrr added candied pecans. This is pure tasty genius!! I love the salty, sweet and crunchy goodness going on here! Ali, this looks great! 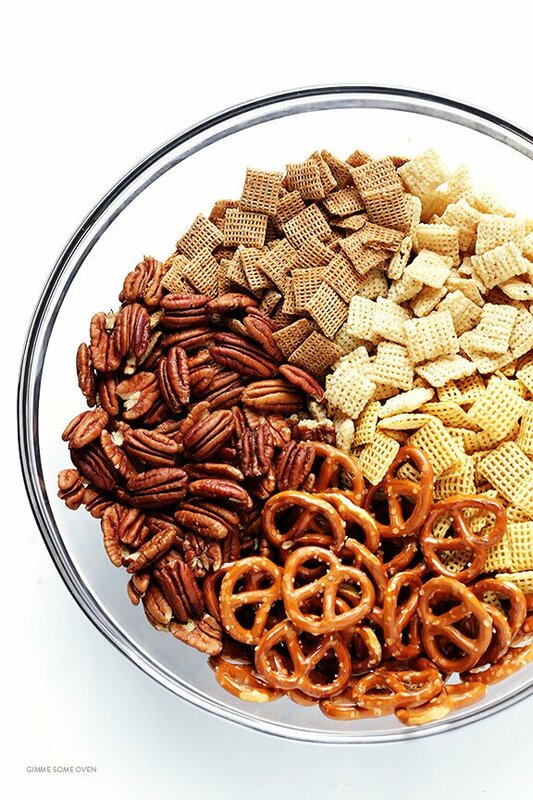 I love a good chex mix for parties! 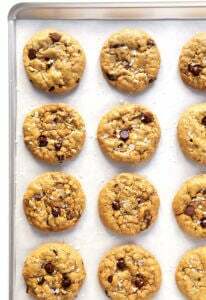 I made a double batch of this for the Thanksgiving weekend. It was ALL GONE on the first day of guests. Truly, it is delish. I made it without the wheat chex to make it gluten free. 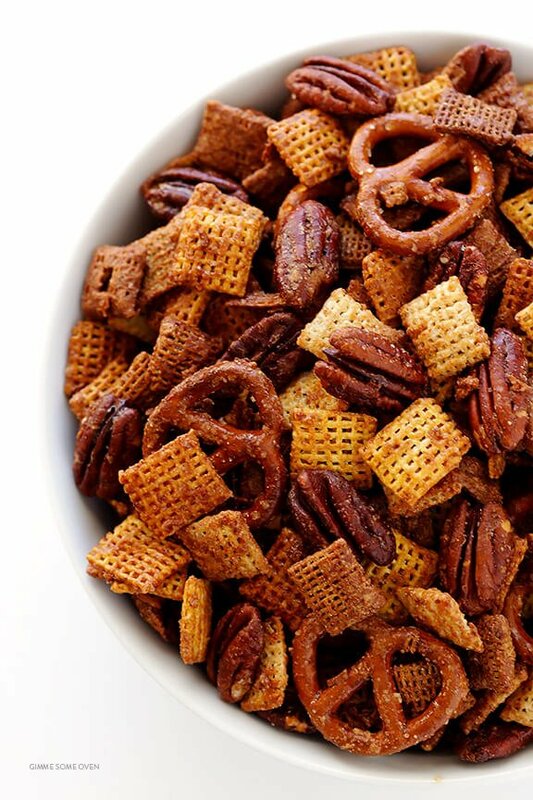 I have always loved Chex mix … but I surely love this alternative also. I tried the sweet version of the Chex mix. 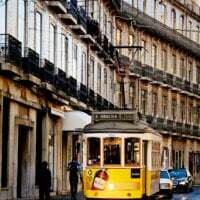 test it also. All your recipes sound great. I made this but I used melted butter instead of egg whites. It was amazing!! Awesome, Sheila — we’re so glad you enjoyed it!